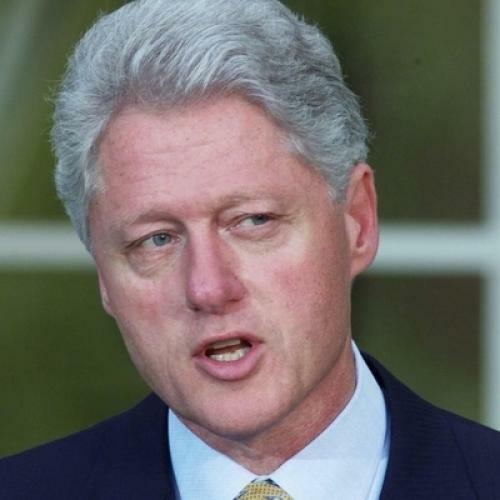 Polls show that about two-thirds of Americans believe Bill Clinton has raised their taxes. In fact, the Clinton budget deal of 1993—the only tax legislation of his presidency—raised income taxes on just 1.2 percent of American taxpayers, or about 1.4 million filers, and lowered income taxes—through expansion of the earned income tax credit—on 13 percent, or about 15 million. To be sure, there was a trivial increase in America's laughably low gasoline tax: 4.7 cents a gallon, an amount swallowed up in the regular fluctuations of gas prices. And the share of Social Security payments subject to tax, for certain filers, was raised from half to 85 percent. But even if you regard this last item as a tax increase and not a benefit reduction, it hit only a small fraction of the population—not the vast majority who blame Bill Clinton for raising their taxes. On the last Saturday before the election, Senate Minority Leader Bob Dole urged voters, in a national radio address, to "help Republicans pull the plug on President Clinton's big government, big taxing, big spending machine." (At the same time, Dole accused Clinton of planning cuts in Social Security and Medicare.) This kind of rhetorical thrust was clearly effective for the Republicans, but it is not accurate. The best measure of the overall tax burden is taxes as a share of gross domestic product (GDP), which represents the size of the total economy. Federal taxes took just more than 20 percent of GDP when Ronald Reagan assumed office in 1981, and just less than 20 percent when he left office in 1989. That was the Reagan Revolution. George Bush, despite his vilification as violator of the "no new taxes" pledge, actually did better than Reagan: he nudged that figure down to just less than 19 percent. And Bill Clinton? Clinton is averaging 19 percent on the nose: less than Reagan, about the same as Bush. The widespread public misperception about spending and—especially—taxes helps to explain the puzzle of President Clinton's unpopularity. No doubt his own personal and political failings play a role, as do the skill and viciousness of the Republican opposition. But if most people are nursing the impression that their taxes have gone up (with no resulting benefit), when in fact they haven't gone up, and have even gone down in many cases, that also must be part of the explanation. The remaining puzzle, of course, is: What explains the widespread public misperception—or "false consciousness," as Marx liked to call this sort of thing? The crude but unavoidable answer is that the 1.4 million whose taxes went up are a lot more influential in our political system than the 15 million whose taxes went down. The "Clinton tax increase" hit people with family incomes over about $185,000 a year. This may be just a tiny fraction of the general population, but it covers almost everybody in the opinion-forming elite. That group includes not just the upper reaches of Washington journalism. It includes Jay Leno and David Letterman. It includes Rush Limbaugh—who starts every day's radio program with a denunciation of the 1993 budget, which he calls "the raw deal." It includes T.V. anchors and newspaper publishers. It also includes people who affect the political debate indirectly, such as top corporate executives. Clinton's program has been good for the economy generally, and good for big corporations in particular. (His health care plan, for example, would have relieved them of billions of dollars of costs for retirees.) Yet the CEO world is overwhelmingly hostile, and reflects that hostility in political action committee contributions, lobbying campaigns, comments to the press and so on. Why? Reflexive Republicanism is part of the answer. But part is that tax increase. Clinton has been good for their corporate balance sheets, but bad for their personal ones. I am not claiming a conscious conspiracy among the affluent to deceive the rest of the population. "False consciousness" affects them as well. In the worlds where they spend their days, almost everyone has suffered a tax increase, and it is easy enough to forget how small these worlds are. But the so-called Clinton tax increase is a dramatic illustration of how these elites set the agenda of American politics—even in a period of alleged rampant "populism." Indeed, the phenomenon predates Clinton. Throughout the whole tax-obsessed political era since 1980, the total burden of federal taxes on society as a whole has remained remarkably constant, at about 19 to 20 percent of GDP. But the distribution of that burden has shifted back and forth—and the public perception about these shifts is always the exact opposite of the truth. During the Reagan period, taxes on the middle class actually went up (mainly because of relentless increases in the Social Security tax), while taxes on the affluent (measured as a share of their incomes) went down. Result: in the popular mind, this is thought of as a time of tax cuts. George Bush actually lowered the total tax take slightly, but he did raise the top bracket. Result: he is doomed to be thought of as a tax-raiser. Clinton shifted the burden even more dramatically onto the affluent—and remember, the total tax burden has remained the same, so the middle class is paying a bit less. And yet Clinton is overwhelmingly perceived as having socked it to the middle class. In raising taxes on the affluent, Clinton was fulfilling, not betraying, a campaign promise. This also has been largely forgotten. Clinton quite clearly campaigned on a platform of raising top-bracket tax rates as way of reducing the deficit. What's more, this campaign plank was extremely popular at the time. True, he also promised a middle-class tax cut, which he hasn't produced. But the tax hike on the affluent was popular, whether justly or not, for its own sake. Not just popular, but populist. Indeed, Bill Clinton's upper-income tax increase stands as the single most "populist" policy actually enacted in recent years. Yet the populace, which once was for it, has turned against it. Why? Perhaps this is because people have suddenly been persuaded by the philosophy of The Wall Street Journal editorial page, that higher taxes on the affluent throttle the economy and impoverish us all. But that seems unlikely, since the predictions of economic disaster from the Clinton program have rather dramatically failed to come true, at least so far. A more likely explanation is that people have forgotten who, exactly, got stuck with the new taxes. The explosive effect of raising taxes on a small but influential minority may help to explain another mystery about Clinton's unpopularity, or at least it is a mystery to me. Why is he so widely perceived as "left-wing"? He campaigned from the middle but governs from the left; he pretended to be a "New Democrat" but stands revealed as an "old-fashioned big-government liberal"; and so on. That's the accusation. Yet the usual bill of particulars is thin. As noted above, the government, as a share of the economy, is actually smaller, not bigger, than under Clinton's two predecessors. So is the number of federal employees. True, Clinton was thwarted in efforts to create a few new government programs. But, except for health care, these were small potatoes. Yes, there have been a few cultural-left appointees, such as Surgeon General Joycelyn Elders. But these are sideshows: a gift to right-wing direct-mail operatives, but hardly central to the administration, or to the lives of most Americans. Joe Klein of Newsweek, who strikes this chord in almost every column, summarizes thus in the October 31 issue: "[E]ver since the administration began ... the president tacked left on issues like gays in the military and health care." But if those are his two best examples, the case is weak. Ending discrimination against gays in the armed forces was something Clinton forthrightly pledged to do during the campaign. There was no surprise. Even so, on taking office he tried to put off a decision. It was the opposition, sensing an opportunity, that forced this rather minor issue to the top of the agenda at the start of his administration. And in the end, he did exactly what his Clinton-the-leftist critics accuse him of not doing: he compromised. In fact, by the lights of gay rights activists, he caved in completely. As for health care, the standard "old-fashioned big-government" solution is a Canadian-style single-payer system. This has many supporters, but Clinton was never one of them. Clinton's proposal, whatever its merits or demerits, was precisely a "neoliberal" mishmash of government and market incentives. Yes, certainly, it was an ambitious attempt to remake an entire sector of the economy. But once again, this was what he promised during the campaign, and what people seemed to want. If they changed their minds upon seeing the details, fine. But it is simply inaccurate to say that Clinton promised a moderate reform and produced a radical-left one. There is, though, one unarguably left-wing thing Clinton has done, and that is to raise top-bracket tax rates. Yet this gets omitted from most "Clinton-the-leftist" indictments, or misrepresented as a general tax increase. Could the reason be that this "left-wing" action might actually be popular? Ironically, the affluent as a class are the only ones who have benefited, so far, from the Clinton economic boom. As many have noted, technological advances and expanding world trade are increasing income inequality even as they increase our total prosperity. This is a long-term trend for which Clinton deserves neither blame nor credit. But the ingratitude of the affluent is striking when, even after the tax shift, they are doing better than the rest of the population. The role of a tax increase on such a small fraction of the population in poisoning the whole political debate is surprising, too. Though I suppose Marx might not have been surprised.